Some of the highlights from Top of the Pops. Music show Top of the Pops is to return to the BBC over the Christmas period - despite earlier promises it would not be brought back. The Top of the Pops Christmas Special and Top of the Pops New Year's Eve Special will be presented by Fearne Cotton and Reggie Yates. 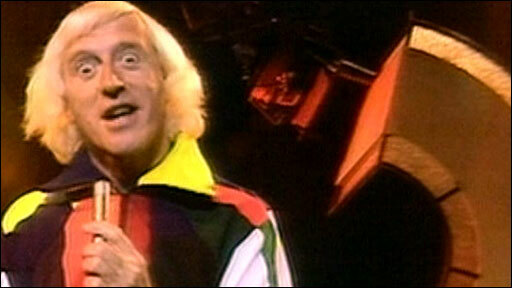 The show's first presenter, Sir Jimmy Savile, welcomed the news. He said: "Let's try it for Christmas, see how it works... when it started in 1964 it was a good programme." Savile added that the success of the original show was its fun-filled atmosphere. Last month, the BBC denied a return after The X Factor's Simon Cowell said he wanted to buy the rights for ITV. Have Your Say: Should Top of the Pops return? A BBC spokesman said the show would return "bigger and better". The U-turn comes after calls from pop stars and politicians to reinstate the much-loved music show, which ran for 42 years before being cancelled in 2006. The Christmas special will feature performances from some of the biggest artists of 2008, before counting down to the Christmas number one. The New Year's Eve show - which will review the year in music - is the first time the corporation has shown such a special. Both shows will appear on BBC One, but transmission times are not yet known. Cotton said: "I am beyond excited at the thought of a return to the mighty TOTP studios for these one-off shows. "Reggie and I feel truly honoured to be able to introduce this year's number one - both shows are going to be huge." The show's return comes a few weeks after Cowell said he wanted to buy the brand off the BBC and take it to ITV. "If the BBC wanted to do a deal, and I can get ITV to buy it and broadcast it, I'd put it on ITV," Simon Cowell said ahead of the National TV Awards. The BBC said, however, the show would not be returning for a regular series. "This does not signal the return of Top of the Pops," the spokesman said, adding that the show was "not up for sale". Culture Secretary Andy Burnham recently expressed an interest in the show's return, saying it had been a good vehicle to champion new music. Pop band The Ting Tings - one of the biggest of this year's new bands - also called for the return of the show. The band's Jules De Martino told the programme's comeback was "fantastic news". "Their Christmas special is a fantastic thing, but it'd great if it came back for good next year." He added that they would "jump at it" if asked to be the first act to perform on the show.